Here’s an early taste of Lollipop for ZTE Open C / Kis 3 (Beeline Smart2, Moche/MEO Smart A16, ZTE V811W, ZTE V811, Skinny V811, Optus Hop Smart, ZTE Blade M, etc). It is unofficial and unsupported by the CyanogenMod team. It’s for advanced users only. Important. Prerequisites!!! 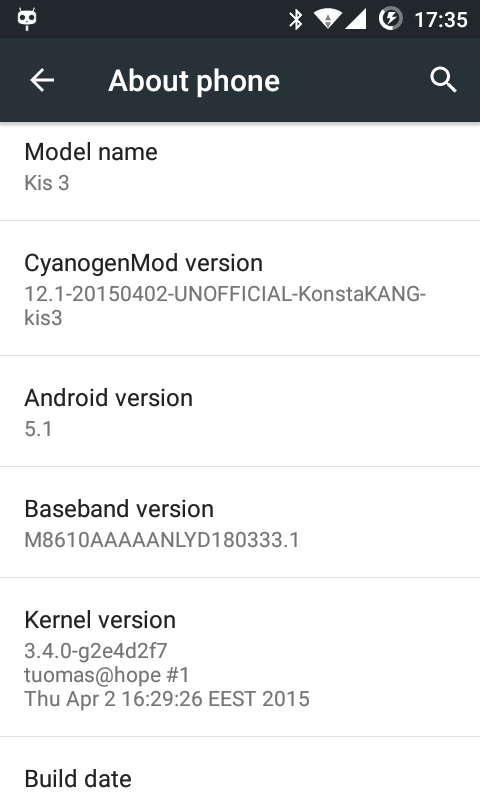 You need to install Android KitKat on your Open C first (e.g. EU_FFOS+to+Android.zip will do). You also need to have this ClockWorkMod or this TWRP recovery installed. Q: When I’m connected with an USB cable to my computer, I can’t see my internal sdcard as a storage, why? A: I’ve made an executive decision not to include a mount point for internal sdcard. This is because recent Android versions don’t allow setting emulated sdcard as secondary storage. Setting rather small emulated sdcard as a primary storage caused issues with games/apps that want to download large amounts of data to the sdcard. Also partition layout is different on Open C and Kis 3 and internal sdcard is handled differently between device variants. Q: ‘OK Google’ voice command doesn’t work, why? There’s no Google Now page on the homescreen, why? 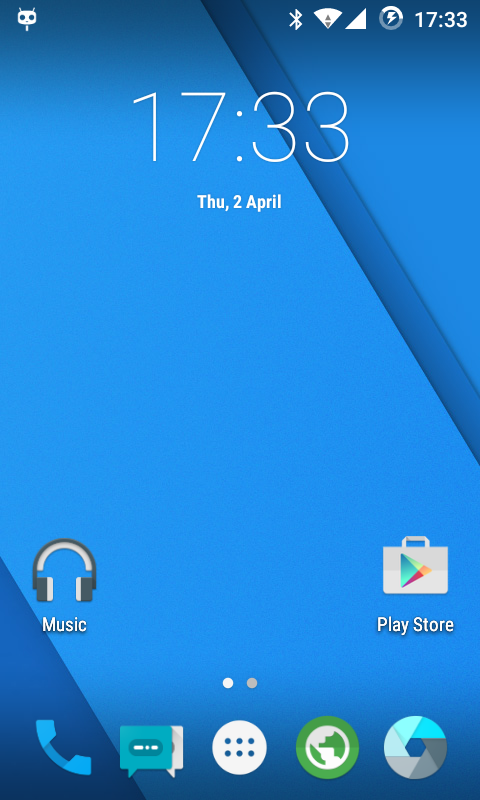 A: These are features of proprietary Google Now Launcher. ‘OK Google’ voice command is also disabled on low memory devices (you can enable it by removing/commenting/changing to false ‘ro.config.low_ram=true’ in /system/build.prop). Q: There’s only a home button on an Open C. How is this going to work? A: There’s ‘hidden’ back and menu keys on left and right side of the home button. There’s also an option to use software navigation bar instead of the capacitive keys. A: Open C doesn’t have ambient light/proximity sensor. Some Kis 3 variants on the other hand do, so that’s why I’ve kept the support.